Spoilers and rumors are already making their rounds on the net… wouldn’t be surprised to find a whole episode posted online. Of course, this is a spoiler post, so stopped reading if you have to. Is the GG people who nominate a little… mo’phobe? Just saying… isn’t GG aired in ABC? Anyway, there is definitely more ‘conservative’ choosing of films in this one… at least in the drama category. And a nomination for Catherine Keener for Best Actress in a Mini-Series or Made-for-TV Film, in the film An American Crime (which she starred with Ellen Page!) and totally FREAKED me out. And how is it that Waltz with Bashir gets a Best Foreign nod, and not a Best Animated Feature? Waltz with Bashir > Bolt or Kung Fu Panda. we’d still have the time. One more cycle, life and death. So I asked my friend Jose (no, forget the joSE… say like JOse… lol) and he said okay, so I am sharing. 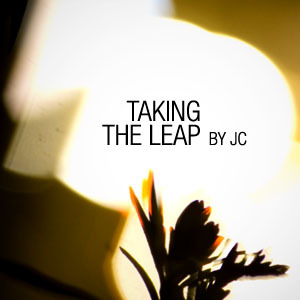 One day, I was doing whatever I do at 3AM, and came up with a song that I titled Taking the Leap. No, I am not suicidal… Anyway, I liked how it turned out in my mind, but I’m musically talent-less, so I sent it to Jose, and he work with his music sutff that he does. We are not PRO, obviously… we don’t have fancy software… just some freeware called Audacity, and some crappy web-mics recording in mono. Care to listen to it? MP3 listening, lyrics and download after the break. November Month of Films, and Some December? Hmm… I feel I have been kinda crappy at watching movies like last time. But not AS bad as last time.